SketchTo is the most convenient way to sketch out your ideas and share them with friends, family or colleagues. No longer will you have to resort to using napkins or the back of an envelope; simply use SketchTo and keep an entire compendium of sketches in your pocket! Sketch out your ideas in a nearly limitless, zoomable drawing space, using a cutting-edge vector drawing engine. Never again be limited by the size of the canvas or the amount of space remaining in an existing sketch. You can always zoom in to add detail or zoom out to add context to a drawing. With SketchTo's zooming, handwriting on a 10" or 7" screen actually becomes feasible. 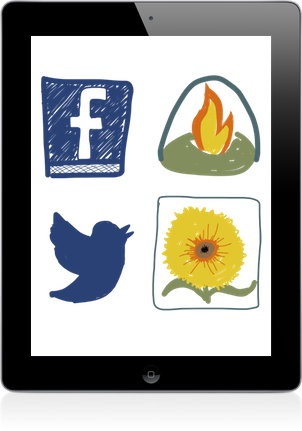 Your drawings can be shared via Facebook, Twitter, 37 Signals' Campfire, your photo library, or emailed as PDF files. You can also open SketchTo drawings in SyncSpace, as well as any app that handles PDF or image files, including Dropbox, GoodReader, Evernote, iBooks and thousands more!